It’s no secret that facebook is key in any social media business management strategy. It has the largest audience, and more visitors everyday than many of the other social sites combined. The problem is that many businesses aren’t utilizing facebook to its full potential. Here are 4 easy ways that you can use Facebook to market your business. Although this seems obvious, this is one of the biggest mistakes that businesses make in regards to facebook and social media in general. If someone is going out of their way to like your page on facebook, they want to see your posts. Nothing is more frustrating than when I go to like a business’s facebook page and their last post was from 3 months ago. This is worse than having no social media presence at all, because it makes people think that you don’t care enough to post. Facebook recently updated its Facebook insights feature to include many more statistics regarding the people who like your page. It shows you detailed demographics about your fans, including, age, gender and location. This is extremely important information when trying to figure out what information that you should be posting. If you want interaction with your followers, you need to be posting information that is relevant to them. By paying attention to these insights, you can taylor your posts to your audience. 3) Connect your facebook to your other social accounts. Facebook is a great way to get people to your website along with your other social accounts. Make sure that you use a facebook app to connect your Twitter, Pinterest, and other social accounts to your facebook page. This will allow people to easily connect with you on all platforms if they are interested in your business, giving them more opportunities to share it with their friends. 4) Ask people to share your content. For this tip, you first must make sure that you are posting good content (this will not work unless you spend time and post good content that relates to your audience). Don’t be shy about asking people to share your content and your facebook page. If they like your business, many people will enjoy sharing your content with their friends. Also make sure that you do not spam people by asking them to share your page too often, do it periodically and be genuine. 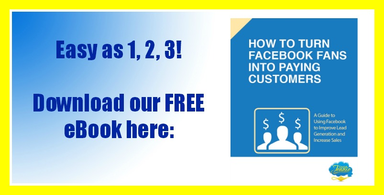 Facebook is a great way to get your business new leads and build your current customers’ loyalty. If you are having trouble figuring out how to manage facebook for your business or medical practice, be sure to contact The Social Jeanie.